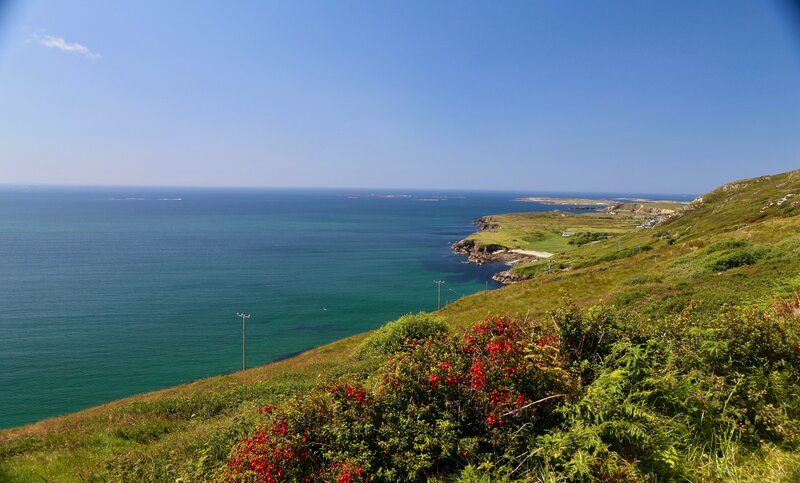 Ireland is a country of prehistoric graves, crumbling fortresses and ruined monasteries all nestled against a vibrant green backdrop that remains as it has for centuries — breathtakingly beautiful! 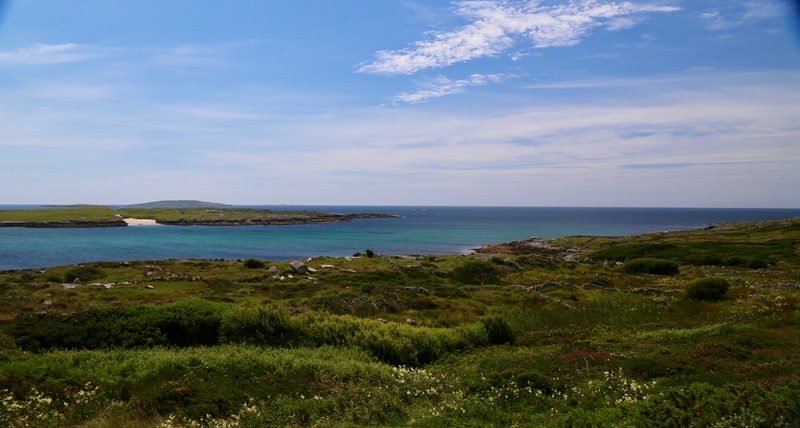 Our tour will take you through soft green fields, along awesome cliffs and beside the beaches of Connemara. 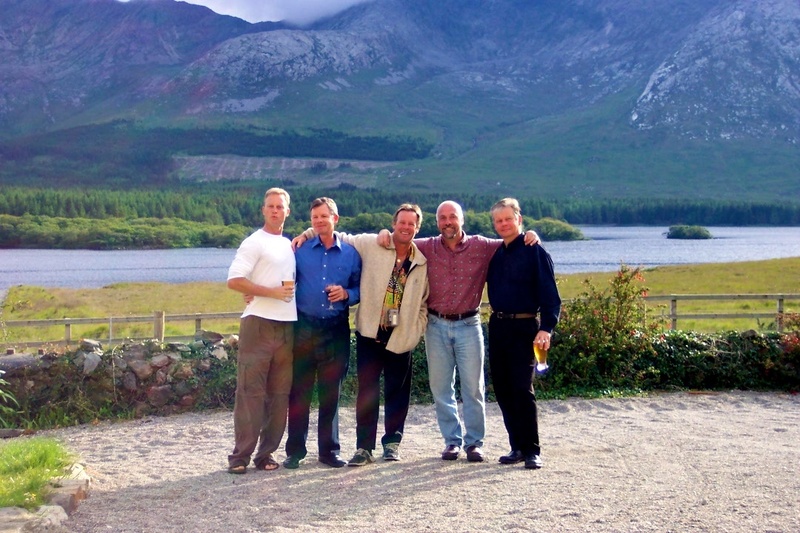 And the heart and the music of Ireland will never be more than a stone’s throw away. 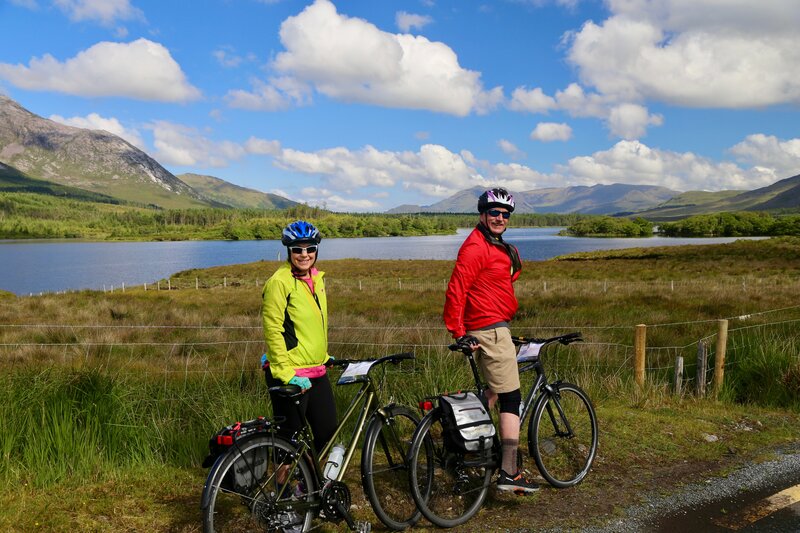 "...The Biking was amazing, route selection was perfect. Guides were very responsive and knowledgable , accommodations / food was very good. Both guides were very professional and were there to ensure everyone had a great experience." 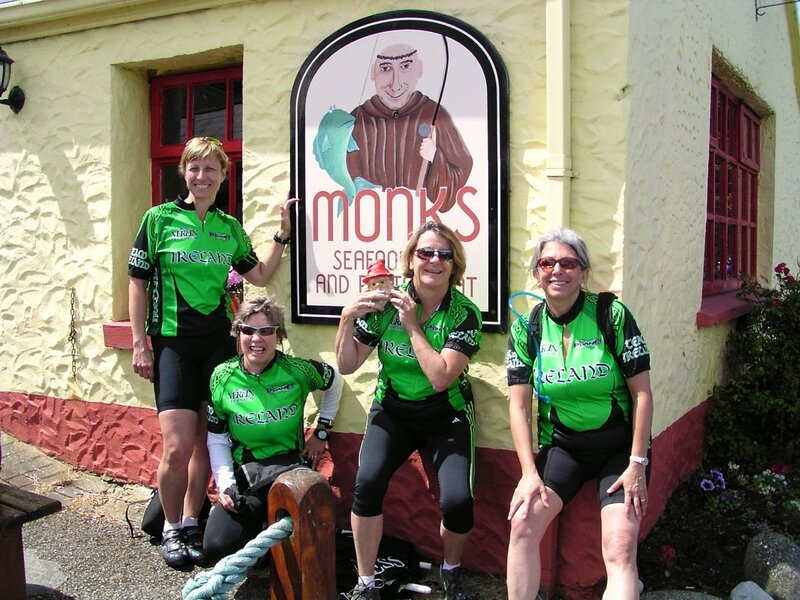 Let Pedal & Sea Adventures take you on a magical bicycle tour of Ireland. 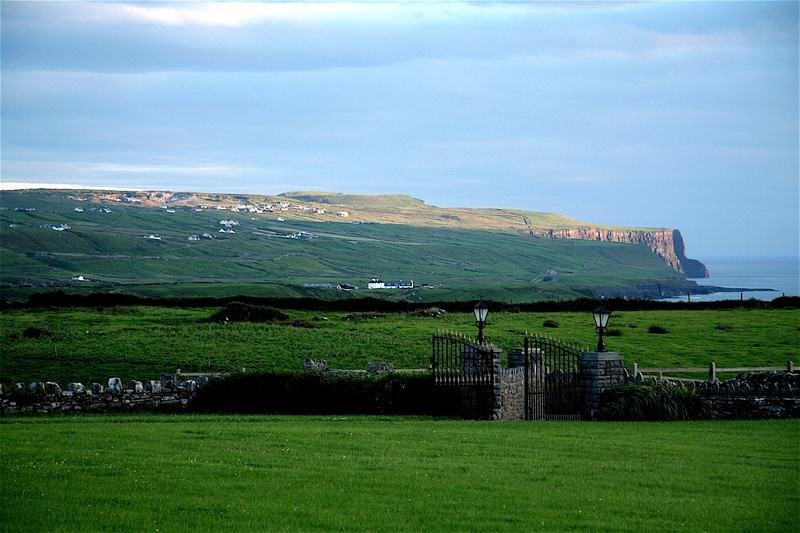 The tour will take you to Doolin, where some of the world’s best pubs — brimming with live music — can be found. 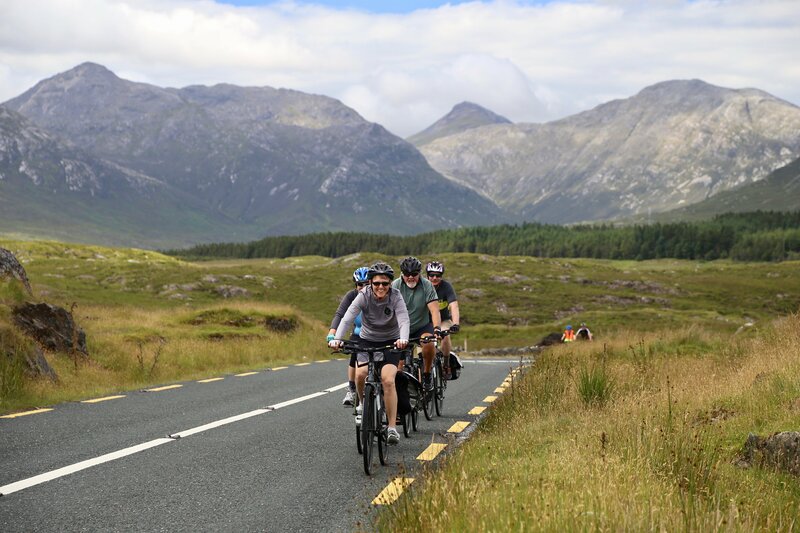 From there you will cycle along a harsh and rocky stretch of the Burren; explore the island of Inishmore, where the best glass of Guinness can be found; and spin along the quiet roads of Western Ireland nestled between the mountains and coastline. 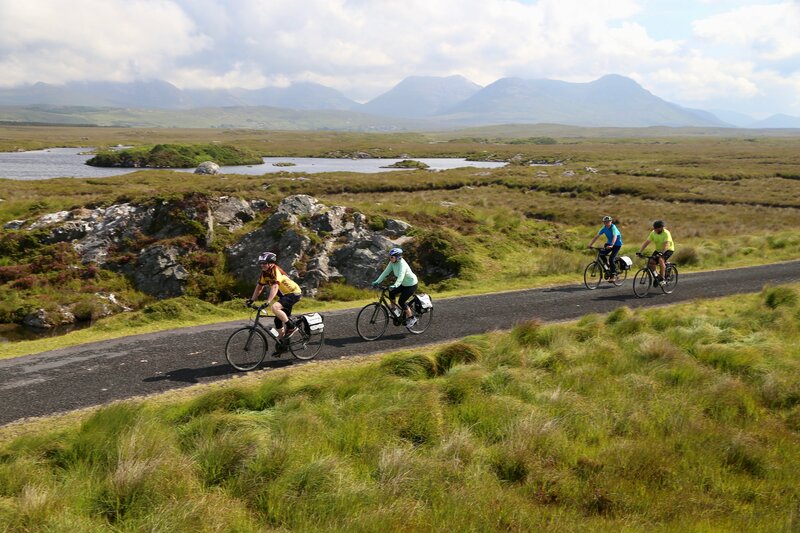 This is one of the world’s best bicycle rides, and a delightful addition to Pedal and Sea’s international bicycle tours. There’s no better way to enjoy Ireland. The tour begins in Ennis, just north of the Shannon Airport. Most flights coming from North America arrive early in the day so you will have plenty of time to relax and adjust to the time difference. We have a welcome dinner awaiting your arrival, so you can meet new friends, peruse your tour itinerary and have your trusty metal steed readied for the journey ahead. Tonight you’ll stay at The Old Ground Hotel. 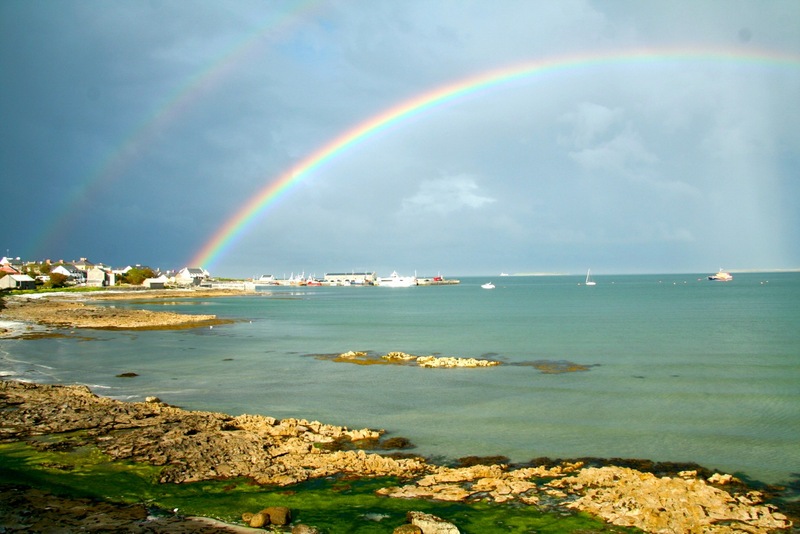 You will depart from Ennis today and make your way to Doolin, the birthplace of modern Irish music. You will be spending two nights here, so there will be plenty of time to kick up your heels. Eight kilometers south of Doolin, you’ll find the towering Cliffs of Moher, one of Ireland’s most photographed natural attractions. 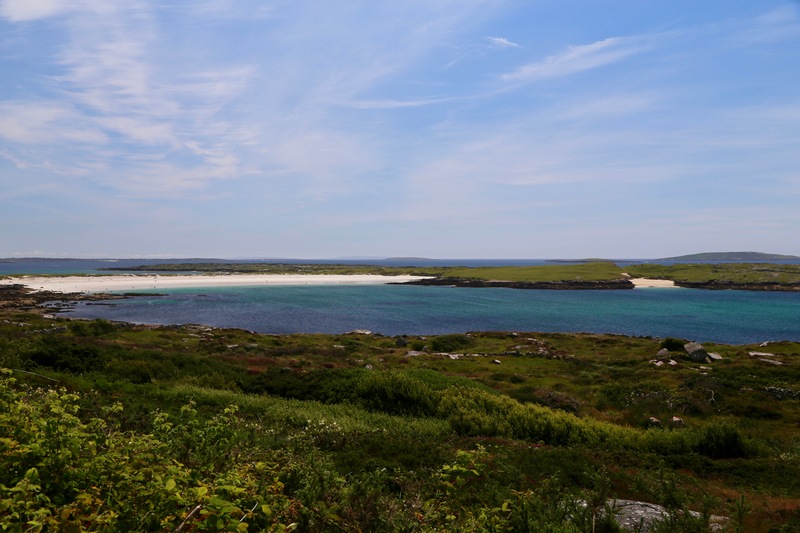 Lodging: The Aran View House Hotel or The Atlantic View Inn. 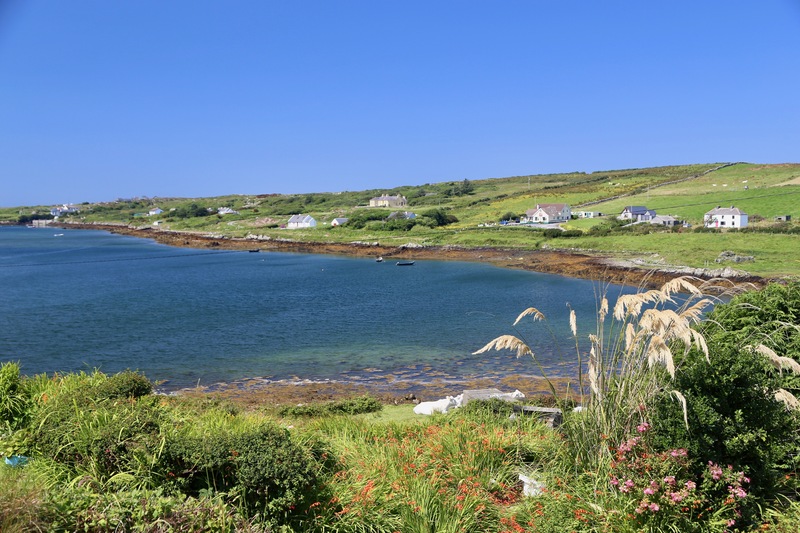 County Clare’s great attraction is the Burren, a rocky stretch of country with many reminders of Ireland’s long and storied past. 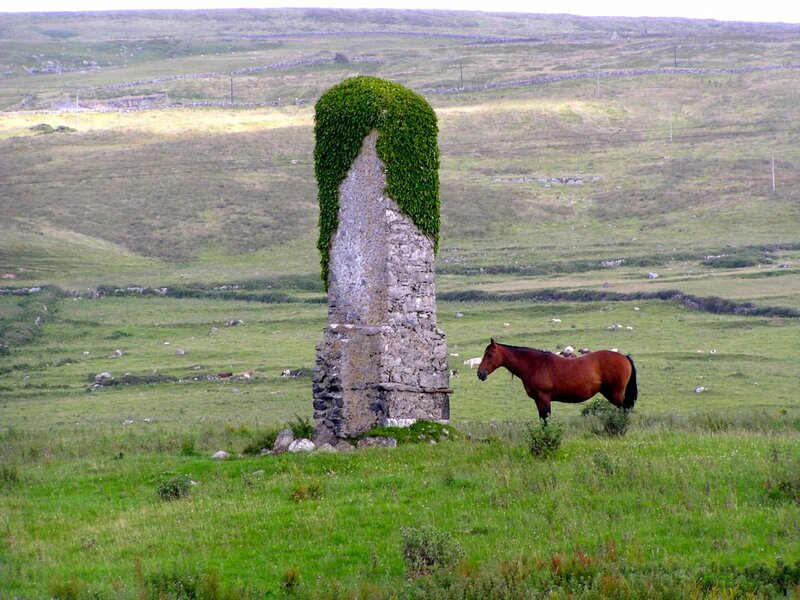 In 1649, Oliver Cromwell’s armies rampaged through the country and exiled many Irish to this harsh and infertile land. 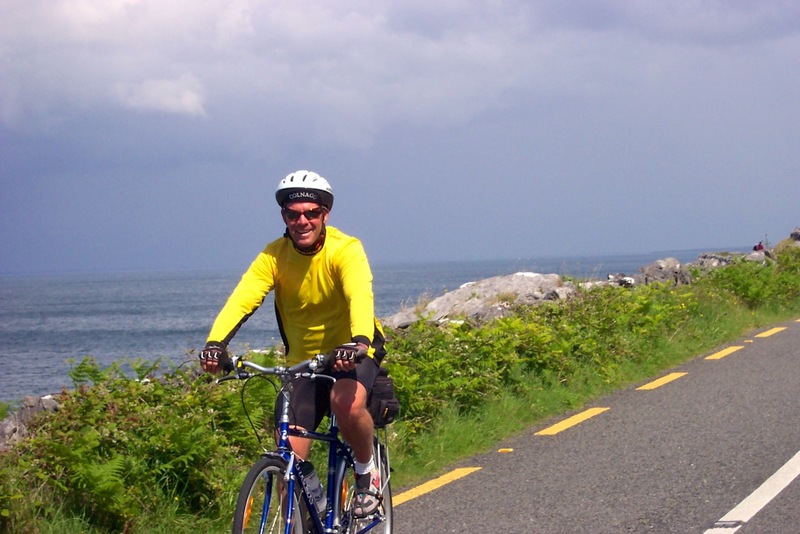 You’ll cycle the Burren today, enjoying the region’s stunning scenery and spectacular coastline. 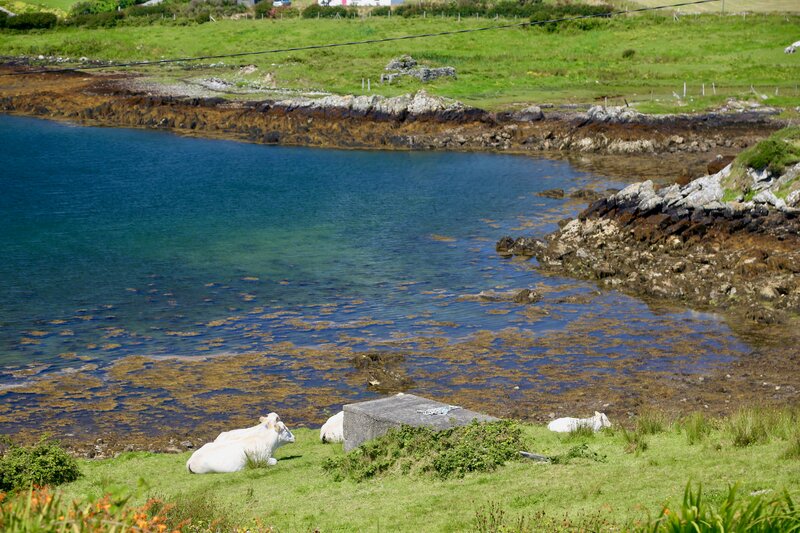 Today’s trip includes a short ferry ride to Inishmore, one of the Aran Islands. The natural beauty will quicken your heart, and you’ll discover the Irish passion for building stone walls to divide even the most inconsequential plots of dirt. 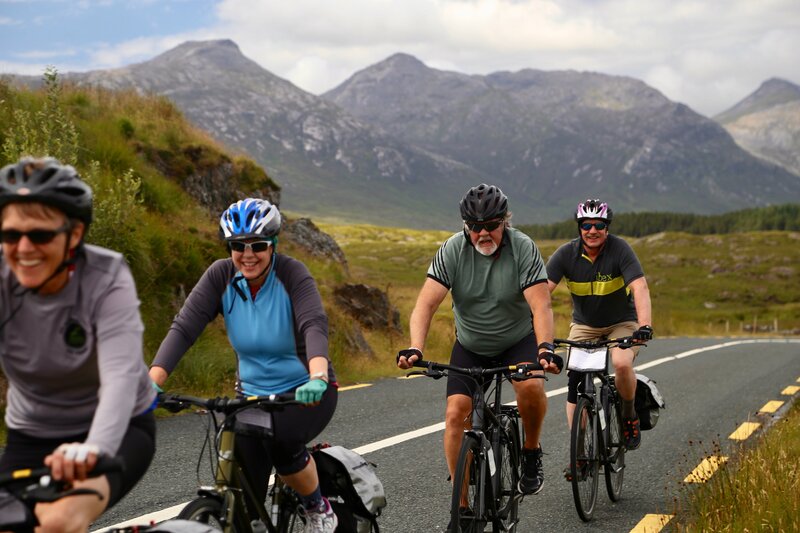 You’ll cycle from the ferry up to the impressive stone fort of Dun Aengus, which is perched precariously on a dramatic cliff. 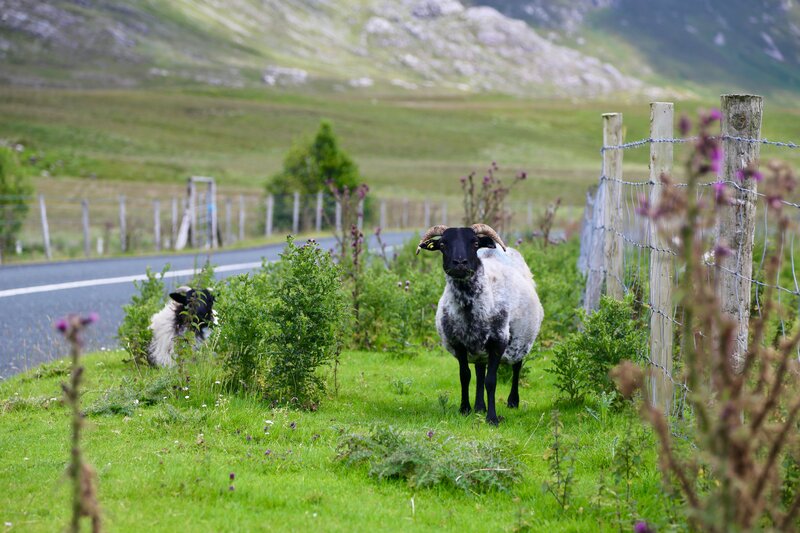 After touring the island, you’ll ferry back to Rossaveal — a beautiful tract where Gaelic is still widely spoken — then on to Screeb, Gortmore and Cashel. It’s a great day, ending at a lovely country inn sitting beside Bertraghboy Bay. Tonight you’ll stay at The Cashel House. 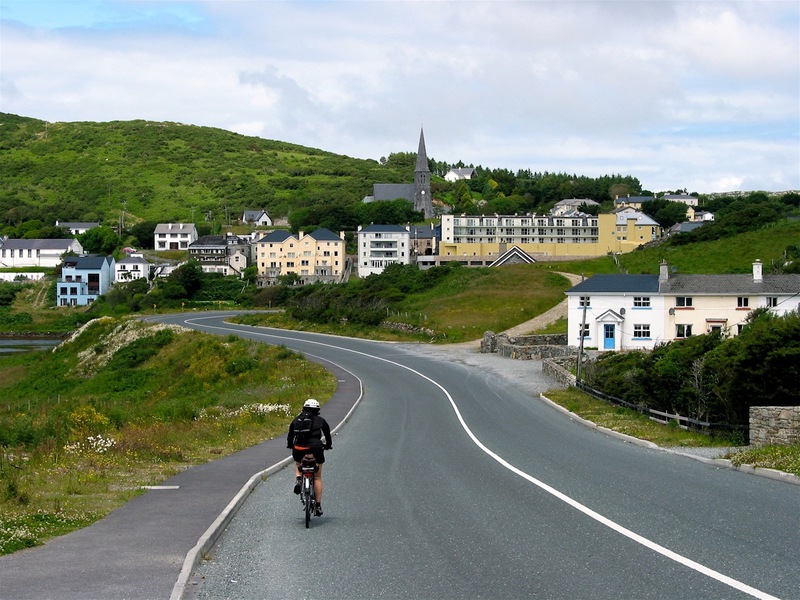 From Cashel we have a short day planned to Clifden, the main centre in Connemara. 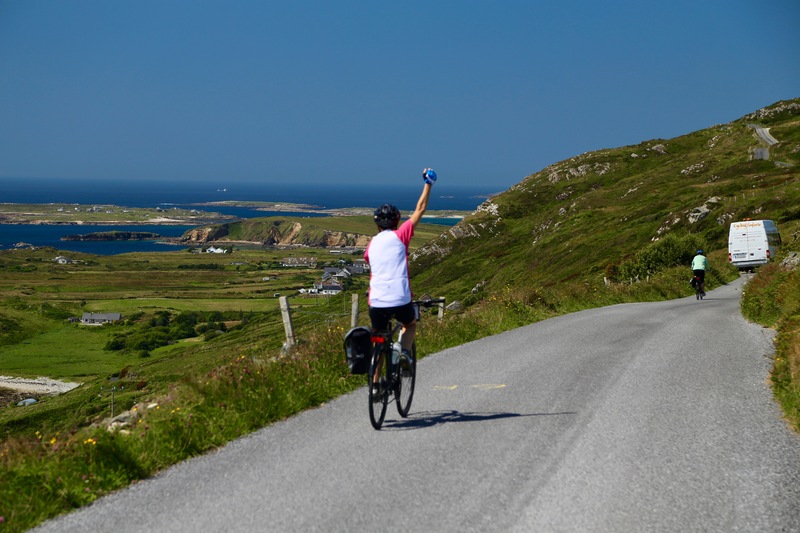 Our bike route will be along the coast of Ballyconneely Bay through Roundstone, Ballyconneely and Ballinaboy. For the duffers among you, a beautiful golf course in Doonloughan sits along today’s route. Tonight you will stay at either The Quay House or Dolphin Beach House. 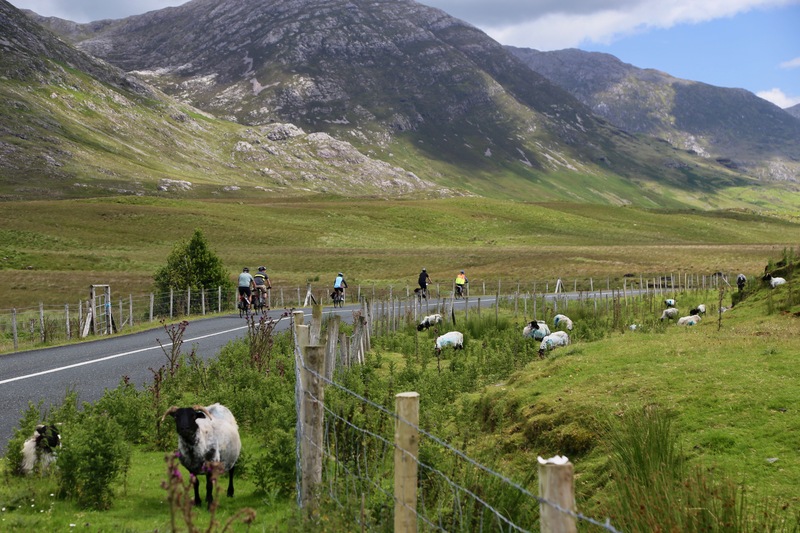 Our route continues along the dramatic coast to Cleggan, Rinvyle Castle and Kylemore Abbey before settling in on the shores of Lough Inagh, nestled between the Twelve Pins and Maumturk Mountains. 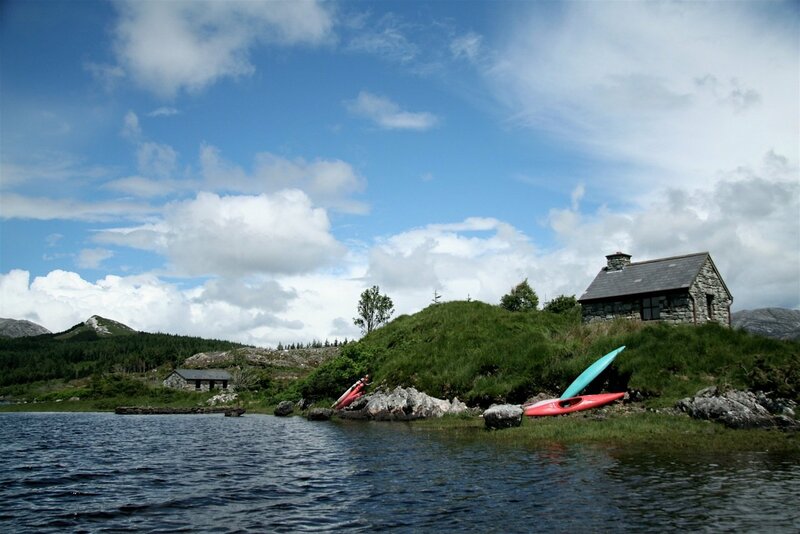 Lough Inagh Lodge will be your home for the next two nights. 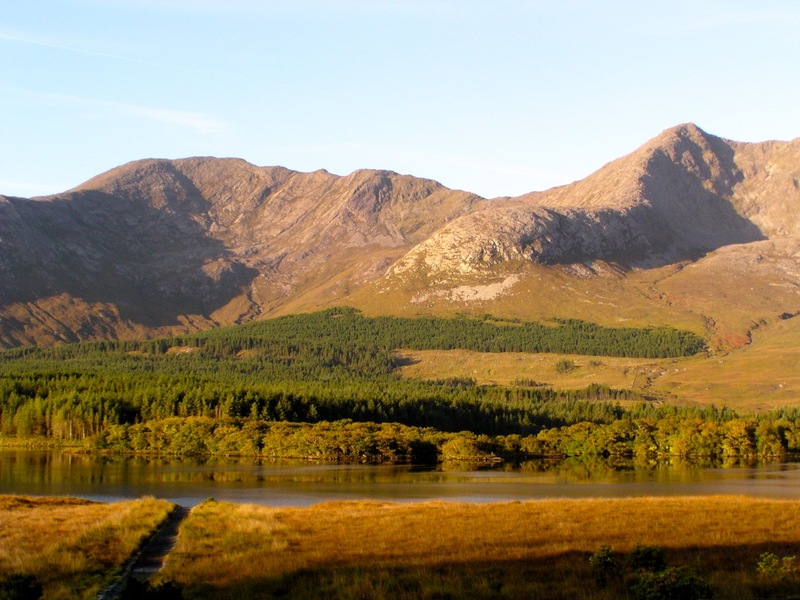 This morning you’ll wake up in one of the prettiest places in the world — Connemara’s Lough Inagh Valley. 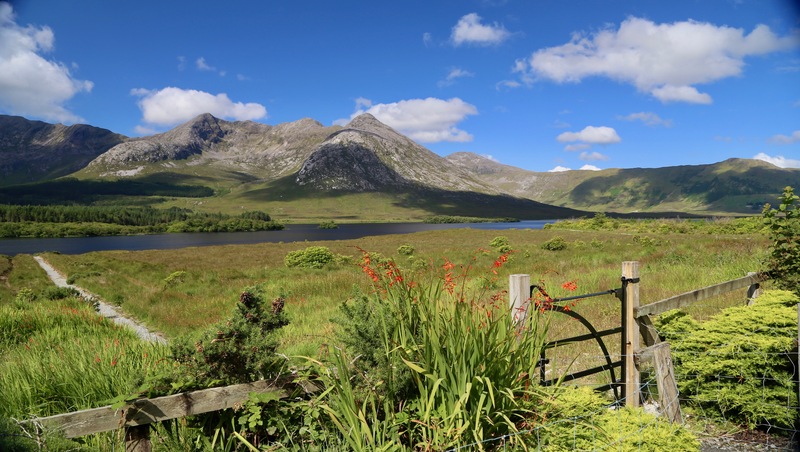 Your options include a visit to the Kylemore Abbey, a loop ride around the Maumturk Mountains, a hike in the mountains, or perhaps hiring a local fishing guide to try your luck at fishing. You decide and we will make it happen. Our last day — but we end with a bang! 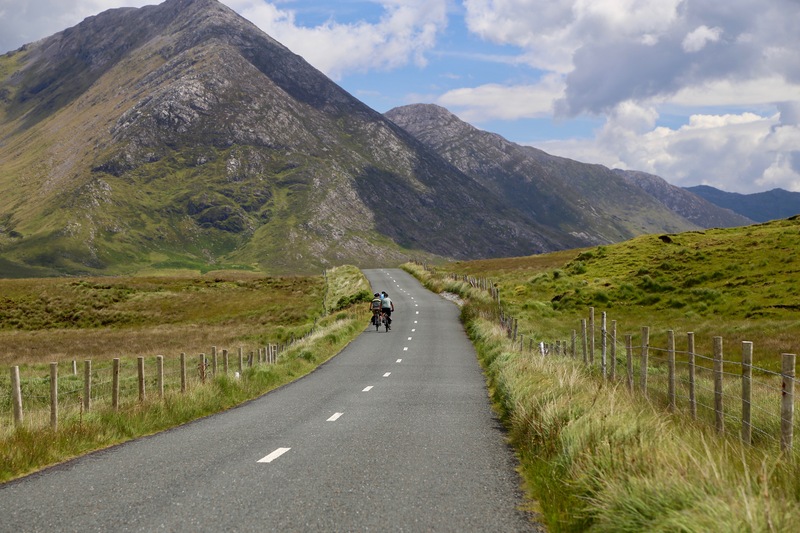 You will make your way to Leenane before heading north between the Mweelrea Mountains and the Sheeffry Hills enroute to Louisburgh. 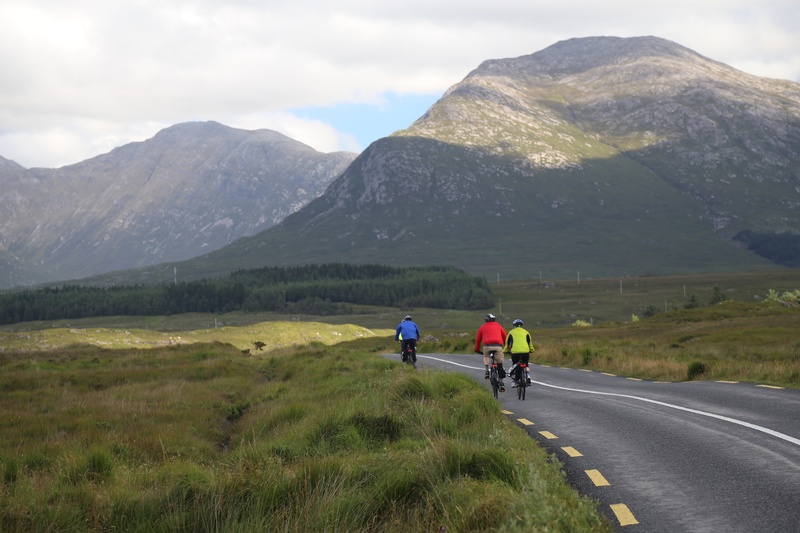 It’s a gorgeous ride, and a fitting end to your Ireland adventure!